Nutrition is important regardless of what age you are, but as you get older, it becomes a little more of a factor in your health. When you’re younger, you can get away with cutting some corners while taking some comfort in the fact that your body is better equipped to handle nutrient absorption and fight illness. Once you hit the half-century mark, however, the things you used to take for granted need to be deliberate. Making sure you’re getting enough nutrients becomes essential to stay strong and prevent disease as you age. By the time you hit 50, your body has changed—and not just on the outside. Things inside are happening too, and a failure to acknowledge them can result in nutrient deficiencies, illnesses, and the onset of conditions like osteoporosis, sarcopenia, and more. The root of these problems often gets right down to nutrient absorption and not getting enough of the important vitamins, minerals, and macronutrients that contribute to healthy body function. Part of the reason this occurs has to do with a general lack of hunger as people age. They may not expend as much energy so they don’t feel the need to refuel. Another factor is that as you age, your sense of smell deteriorates. Smell plays a very important role in triggering hunger and reminding you to eat, so if that stimulus is taken away, you’re less likely to be motivated to feed yourself. When you don’t eat, you don’t get the nutrition you need. Therefore, taking deliberate steps to ensure you eat and supplement effectively is important to your present and future health. In fact, supplementing is almost essential because as you age your body absorbs and extracts nutrients from food less effectively than it did when you were younger. B vitamins, for example, are an essential complex found in protein sources like fish, poultry, meat, eggs and dairy. Certain B vitamins are also found in leafy greens, beans, and peas along with whole grains. But your body may not be able to get full absorption from food sources, as you age, so supplementation is highly recommended. Vitamin D is also something your body struggles to absorb in midlife. Vitamin D is found in certain foods, but primarily comes from the sun. The problem is that as you age, your skin loses some of its ability to synthesize sunrays, which can lead to deficiency. Vitamin D is an extremely important nutrient as you age because it’s responsible for calcium absorption, making it essential for strong bones and preventing osteoporosis. It’s recommended you get ample vitamin D by purchasing fortified products or buying supplements and taking twice the recommended daily dosage. Eating enough protein for muscle retention is also important. Muscles deteriorate as aging occurs and protein is the macronutrient responsible for slowing this process. Degenerative muscle disease, called sarcopenia, is a serious condition that can cause bone damage, affect your posture, and make you more susceptible to injury. Muscle acts as padding and protection for your bones so losing mass increases your risk of injury. Antioxidants like vitamin C are important for immune system maintenance and effectiveness. Like almost everything else, your immune system weakens as you age so feeding it antioxidants found in fruits, vegetables, and supplements can help protect it from the natural reduction in strength that occurs. Nobody likes to think about their body slowing down as they age, but it is a reality. However, aging can be a fun, rewarding experience if you make an effort to focus on your health. Make deliberate attempts to eat well and regularly, supplement, and drink plenty of water to slow the effects of aging and prevent illness, disease, and all the other negatives commonly associated with getting older. Boyce, J., “Effects of Ageing on Smell and Taste,” National Institutes of Health web site, April 2006, http://www.ncbi.nlm.nih.gov/pmc/articles/PMC2579627/, last accessed February 26, 2014. 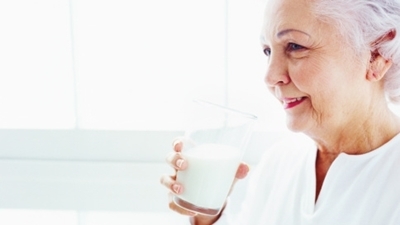 “Nutrition Needs in Older Adults,” University of Rochester Medical Center, 2014; http://www.urmc.rochester.edu/encyclopedia/content.aspx?ContentTypeID=1&ContentID=2321, last accessed February 26, 2014. Sturgeon, W., “What You Don’t Eat Can Hurt You,” Toronto Star web site, February 24, 2014; http://www.thestar.com/life/health_wellness/nutrition/2014/02/24/what_you_dont_eat_can_hurt_you.html, last accessed February 26, 2014.